The morning of your wedding is a time of excitement and nerves. It’s the day you’ve been waiting for, but you may be feeling the pressure of making sure everything goes well. Getting ready with your mom, sisters, and/or bridesmaids can help keep you feeling light-hearted and relaxed, but the right music will keep everyone in good spirits. You won’t be worried about everyone’s eyes on your when you’re walking down the aisle when you’re jamming out to these tracks. 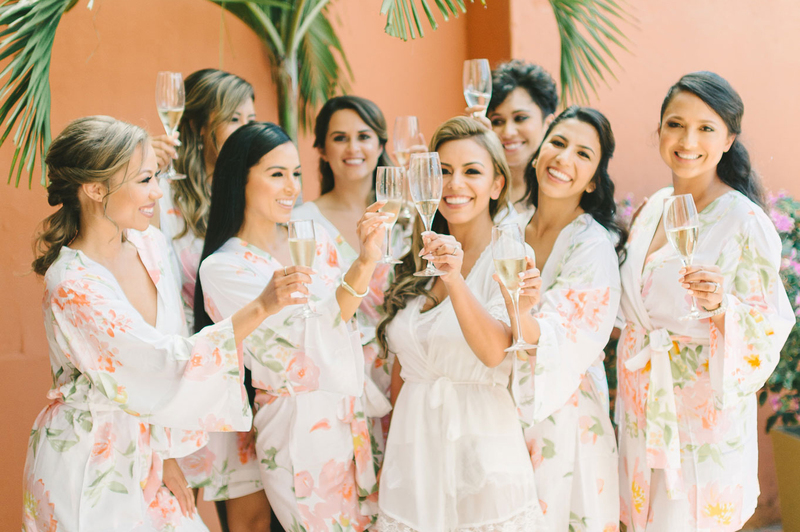 Even if you’re not especially nervous, the process of getting hair and makeup done – and waiting for your bridesmaids to finish getting theirs done as well – is a lengthy one. Energetic tunes will keep you from feeling listless once it’s time to pose for photos. You don’t want to be tired before the day truly begins! Below are our suggestions of fun, playful songs to listen to while getting ready for your wedding. For more ideas, discover upbeat songs for a mother-son dance and 50 first dance songs from real brides and grooms.